Panthers star linebacker Luke Kuechly took a nasty head injury in the fourth quarter of tonight’s close game against the Saints. 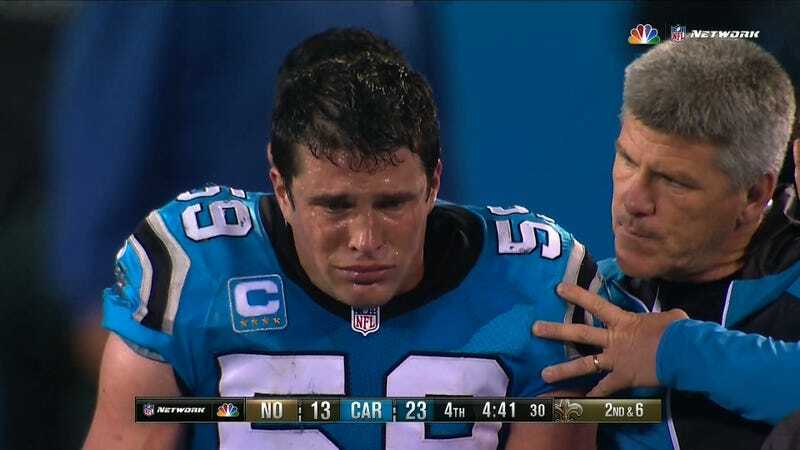 Kuechly had to be carted off and he did not hide his emotions as he was leaving the field. It wasn’t immediately apparent what part of his body exactly Kuechly hurt, but the Panthers announced that he was being evaluated for a concussion, and as you can see, he took quite the hit to the face.